I started the day with Amanda’s wonderful oatmeal cookie dough smoothie. This is one of those recipes where you can’t believe that you actually eat/drink something healthy. It’s so creamy and delicious! If you haven’t tried it I definitely recommend to go straight to your kitchen and make you one! And it’s so ver filling that I didn’t need a mid-morning snack. So meal #2 was lunch. We made some great chili from ground beef, beans, corn and bell pepper earlier that week and these were the last leftovers. As a side I had a half sweetpotato with cheese. And just to let you know this was served on a dessert plate. Thanks to Arman I was made aware last week that plate sizes determine our perception of portion sizes and I really don’t want to mislead anyone here. We hosted a workshop last Friday and so there were a lot more people around then on a usual Friday afternoon. I did not really work a lot. 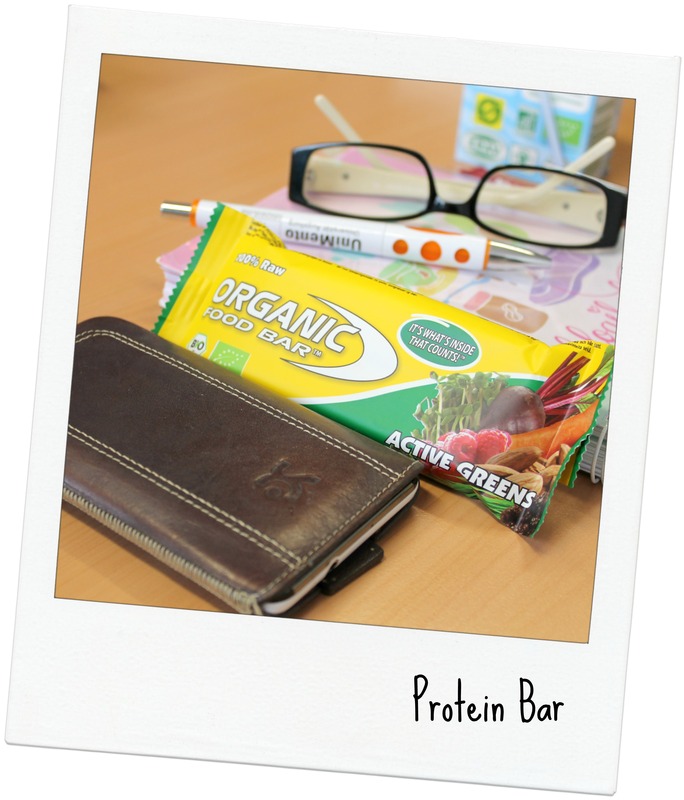 In between I had this lovely green raw protein bar which I had to divide and eat one piece at a time as it was so big and filling. I spend the rest of the afternoon chatting with my student assistant. She got accepted of a semester abroad at Bristol University. I am so happy and excited for her and I realized how much I would enjoy to spend some time abroad again. As we had gone home early so the day before we had to stay unusually long for a Friday. I left the office around 5.30 pm. I picked up my hubby and we went food shopping. We had to get up on 6.30 am on Saturday for soccer practice so we had to do the food shopping on Friday. 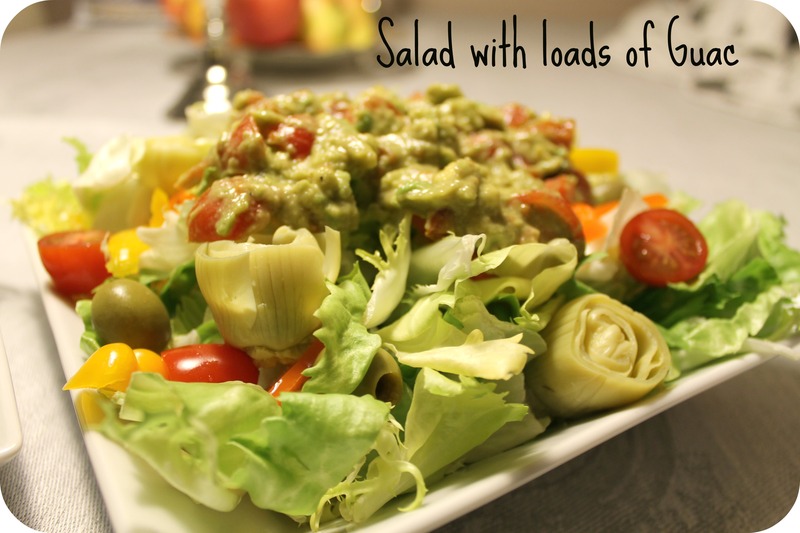 We bought a holy lot of greens, veggies and fruit and came up with a fantastic salad for dinner. I love huge salads like these. I topped mine with a holy lot of Guac and my husband took cheese instead. There were also artichokes and olives. Yum! We didn’t stay up long as we had to get up so early the next morning. Talking about food always makes me hungry and I haven’t had breakfast yet! And I need another coffee! I wish us all a very productive day! Amanda really makes amazing recipes, doesn’t she 😉 !? And your smoothie shot is awesome girl – looks like straight out of a food magazine. Good luck with finishing the survey today. Guess we are both stuck at the desk for the next few hours. Absolutely! Her recipes are bomb! I just finished my survey. Fingers crossed I won’t have to change too much! Hope you had a good progress, too! Oh my gee. That smoothie looks EPIC. Once I find a blender, I’ll have to give it a go. So worth it! I’ll have one later pre-workout again! I don’t mind at all 🙂 I am reasearching in the field of career decisions and with this survey we try to find out why qualified law graduates do or don’t choose a university career. It happens from time to time. This is one of the biggest I developed so far. How long it takes depends on the knowledge I have about the theories behind the research question. As career decisions is the area in which I research for my PhD it took me only 2 days. But I have to pre-test and revise it before I can roll it out. For a training evaluation form I need about 1h. It always depends on the topic. Are you about to develop a survey, too? Your smoothie looks so good!! Have a great day! Could your smoothie picture be any more intriguing? 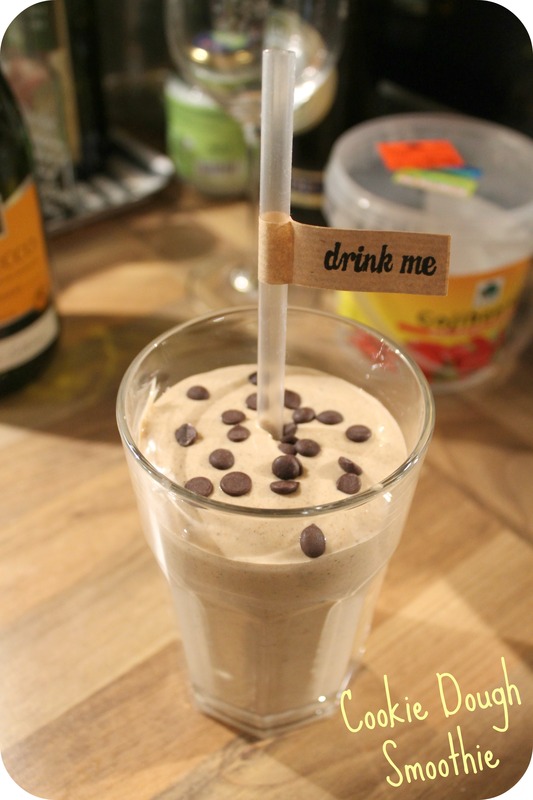 It really says “drink me!” both optically and literally. If you don’t mind the curiosity: what kind of survey are you working on? Interesting. Do you get to develop surveys often? How long does it usually take? MMMM thank smoothie lootks awesome! I’m going to have to try that one soon! That straw in your smoothie — I just can’t! SO cute. And I swear, you make yours look better than I did — loving the chocolate chips on top too 😉 Also… I want your lunch IT’s currently freezing here and that dish looks SO warm and comforting. 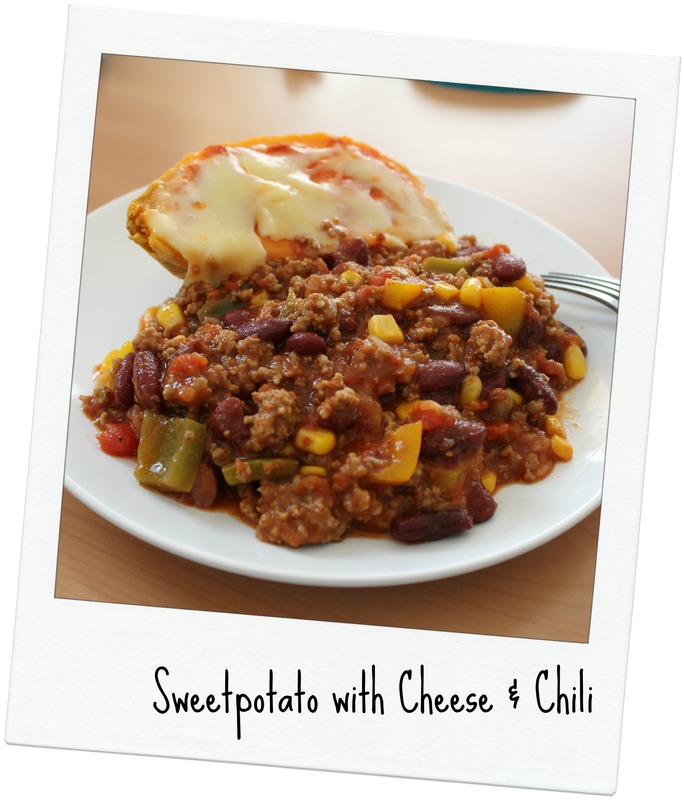 Oh my gosh, that sweet potato and chili & cheese looks fantastic!